The growth of international graduates in U.S. higher education institutions has prompted an increase of international faculty in U.S. higher education institutions especially in the field of science and engineering. International faculty play important roles and impacts many aspects of teaching, research, and globalization in U.S. institutions. Despite their success in teaching, research, and contribution toward globalization, many international faculty are dissatisfied with their job compared to the U.S.-born faculty. This chapter provides a review of the common issues that international faculty face in U.S. higher education institutions. In addition, the authors provide recommendations of the types of support systems that institutional administrators can implement to support their international faculty members. A review of the literature shows that United States continues to grow the largest number of international students compared to other developed countries. In 2013-14, a total of 886,052 international students enrolled in U.S. higher education institutions, which was a 2.1% growth compared to the previous year (Open Doors, 2015). To reflect the racial diversity and thought process of international students, higher education administrators are pressured to recruit more diverse faculty members, including international faculty to support this student population (Collins, 2008). In addition, the growth of international graduates in U.S. higher education institutions has also triggered an increase of international faculty due to more teaching and research opportunities in the U.S. (Lin, Pearce, & Wang, 2009; Marvasti, 2005). Similarly, the emphasis of internationalization across U.S. higher education institutions has prompted the institutions to recruit more international faculties to help with the initiative. Research shows that the international faculties are great assets to U.S. higher education because aside from their teaching, research, and service responsibilities, they have the potential to enrich the university campus and community with their cultures and world perspectives (Alberts, 2008; Mamiseishvili, 2010). For example, international faculty members often serve as advisors for their respective cultural organizations. Throughout the year, the faculty collaborates with students in hosting cultural events or international forums to bring cultural awareness and diversity across campus. In addition, international faculty members help to strengthen research collaboration initiatives between their native country and the U.S. especially in science and technology (Corley & Sabharwal, 2007; Marvasti, 2005). Despite international faculty’s increased role in research, teaching, and services in U.S. higher education institutions, there is limited research that focuses on their development as a faculty member. For example, many research studies have focused on the acculturation, productivity, and job satisfaction issues that international faculty face in U.S. higher education institutions (Alberts, 2008; Collins, 2008; Corley, 2007; Lin et al., 2009; Mamiseishvili, 2010; Mamiseishvili & Rosser, 2010; Marvasti, 2005; Sabharwal & Corley, 2009; Webber, 2012). 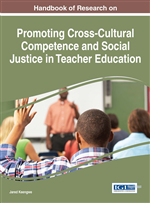 More specifically, these studies indicate that international faculty are prone to encounter severe acculturation issues due to cultural and language differences (Collins, 2008; Howe, 2008; Mamiseishvili & Rosser, 2010). Even though international faculty members are very productive with their research and publication, there has been a significant lack of efforts in the career development for international faculty in U.S. higher education institutions. Consequently, many international faculty members are not satisfied with their faculty career when compared to U.S.-born faculty (Corley & Sabharwal, 2007; Mamiseishvili & Rosser, 2010). Some common factors of those dissatisfactions include, but not limited to salary gap, job security, job autonomy, and tenure and promotion opportunity (Corley & Sabharwal, 2007; Marvasti, 2005). In addressing the retention and job satisfaction issues of international faculty, institutional administrators, and department chairs need to have a better understanding of the roles, impacts, and challenges that international faculty experience on an everyday basis. Additionally, they need to learn the types of support services that their departments and institutions can offer to support and retain international faculty. This chapter will provide reviews and guidelines for the administration to support international faculty in U.S. higher education institutions. Organization Socialization: Any learning and interactions that take place in the organization to help ease the transition of an individual into the organization. Socialization: A process that enables a newer member to feel acquainted to the organization by learning the norms, values, and cultures of the organization. Anticipatory Socialization: A new member learns and adopts the norms, values, attitudes and behaviors that are practiced by existing members in the group or organization to ease his/her transition to the group or organization. Formal Mentoring: A mentoring process that is planned and organized by an individual and/or organization to promote individual and career growth. Social Isolation: A situation that makes individuals to feel that they are lack of contact and support from people in the group or community. Job Satisfaction: Emotional pleasure and fulfillment of an individual after completing the assigned tasks and responsibilities. Tenure: A permanent job status granted to an employee who has successfully passed the probationary period. Mentoring: Guidance, support and assistance provided by a more experienced individual to a less experienced individual to facilitate individual and career growth. Informal Mentoring: A mentoring process that takes place naturally between the mentor and mentee because of shared interests and career goals.